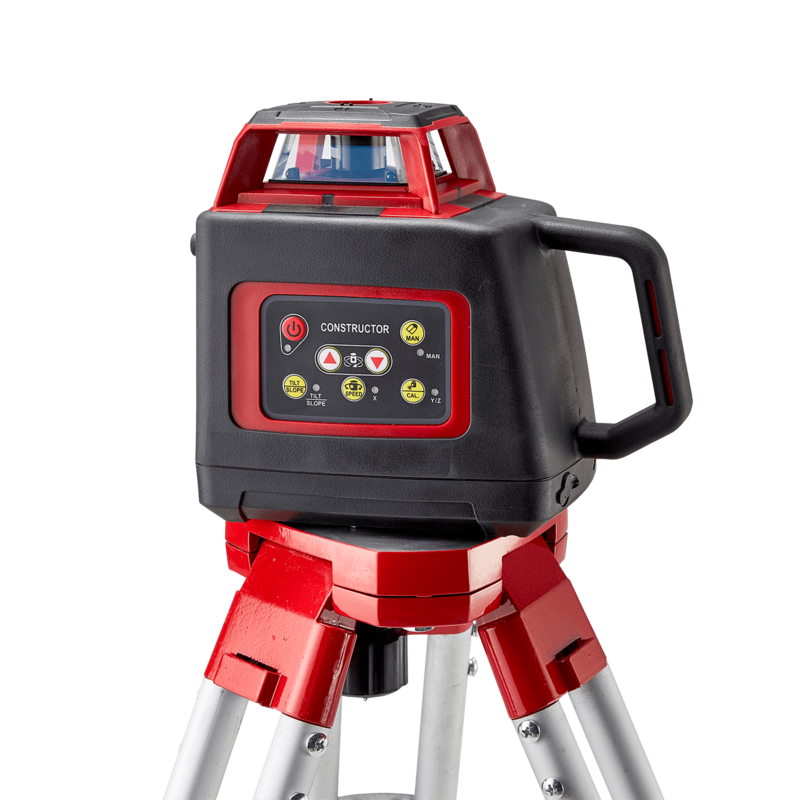 Available in red or green versions with automatic levelling, the Datum Constructor is a horizontal, vertical and plumb beam laser for maximum flexibility. With its fast levelling and simple one button set up, the Constructor Laser is great for all type of workers – from humble DIY beginners to adept surveying professionals. Laden with features including an out of level warning indicator to show if there are any disturbances to the laser and a simple slope facility in manual mode, a tough IP54 rating, which ensures the laser is protected from dust and water spray from any direction, and a remote control for easy use when the laser is out of reach. Use the Constructor for up to 40 hours with the Ni-MH battery pack, and expect an increase in productivity and efficiency while on site. The supplied Datum LS-8 Laser Detector comes housed in a protective rubberised casing for extra durability. This laser receiver has a dual screen display for front and back beam indication and features an audible buzzer if the display is not clearly visible, such as if the detector is high up on a staff. The Datum Constructor Laser Level kit comes complete with the Datum Constructor Laser, the Datum LS-8 Laser Detector and clamp, ceiling target, rechargeable battery, charger, wall mount and remote control. A Datum tripod and staff are also included in the sale price, ensuring the ultimate package at remarkable value for money. Now on sale, you can get your own Datum Constructor Laser Level at an incredible £375.00 +VAT while stocks last. Vertical and plumb accuracy: ±30"
To purchase the Datum Constructor Laser Level, or for more information click here.